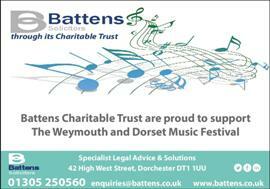 The Music Festival is run by a dedicated group of volunteers on a not for profit basis. In recent years, the Festival has often run at a loss. This obviously cannot continue if the Festival is to survive. There has been some comment about how much we charge for entry into the Music Festival and that we charge too much for a “not for profit organisation”. It may be that people do not understand the costs of putting on an event of this nature. Below is a list of the costs for the Festival in 2017 to give people some idea of how much we spend. We try to raise money from advertising in the programme and from sponsorship, but this represents only a part of the necessary income. Therefore, we have to charge entry fees for performers and admission charges for audience at a level which will cover the rest of the costs. We think the Festival is a worthwhile event, providing invaluable experience for young (and not so young) performers, but it can only continue to run if we are able to cover the costs. We are always happy to hear from potential sponsors, advertisers or donors.